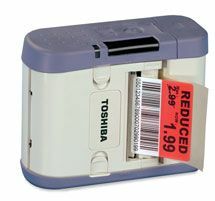 Need accessories for your Toshiba TEC SP2D hand-held, portable printer? Then you’re in the right place! Whether it’s a battery charger or a carry bag that you’re after, just take a look down the products below. We’re always happy to help and we’re happy to give you more advice. Just give us a call on 01205 820757.